4 Amazing Reasons I Like Working From Home - You Can Too! What if there was another way to live life, without the confines of the 40-hour work week? What if you could live life on your own terms, be productive, make an incredible income, be less stressed, and set your own hours? In this post, I want to share 4 amazing reasons I like working from home, and how you can get started too. There are many benefits of working from home. Below, I’ll share my top 4 reasons I wouldn’t have it any other way. In my opinion, one of the biggest advantages of working from home is the ability it gives me to set my own hours. I don’t begin work at 8:00 a.m. like most of the world does. My body clock doesn’t work that way. 10:00 a.m. is more my style. I’m a night owl so this time schedule works great for me. If I began my workday any earlier, I would be ineffective by 4 in the afternoon. By working with by individual body clock, I am productive all day long, and don’t get that awful afternoon slump. This is an indispensable benefit to me. I can design my day according to my needs, and the demands of each particular day. The 9-to-5 workday does not support my health, my mood, or my mindset. I really appreciate the blessing of being able to work from home on the days life throws me a curve ball, such as a sick child I’ve been up with all night. How do you get to work in the morning when you’ve haven’t slept? And how do you leave a sick child? Setting my own hours leads to a healthier, and more manageable, work/life balance. I love the flexibility and mobility working from home gives me. If one of my kids has a school performance, I can design my day accordingly, without stressing about having to take time off work or to get back to work within a certain time. And if an emergency arises, I can take care of it, while putting work on the back burner. I love being accountable to myself only. Being able to attend to personal and family matters on my own time frame decreases stress, while increasing life satisfaction. I don’t miss being a prisoner to deadlines. In my opinion, that’s no way to live. If I want to go to lunch with a friend who’s in town, I can, without having to work overtime or readjust my schedule. Being my own boss is amazing because my schedule is flexible. I can go where I want, when I want, and if I want to make travel plans, I can, without being accountable to anyone but myself. The best part is I can take my work with me wherever I go. I’ll I need is my laptop and an internet connection. The internet has truly revolutionized the way we work today, and that’s a very fortunate fact. Flexibility and mobility equate to freedom, and you can’t put a price tag on personal freedom? Of course, potentially getting more done in a day comes with a caveat. In order to have a lucrative home-based business, you have to be self-motivated and self-disciplined. It can be easy to get distracted when you’re working from home. I find it’s essential to set strict boundaries on my time, and stick to them. Maintaining structure is a non-negotiable. As long I stay within my set guidelines, I get a lot done, working from home. I work in 45-minute to one-hour increments, taking short breaks between these work periods. This allows my mind a much-needed rest, keeping me focused, sharp, and motivated. You can read my post on a great time-management technique here. During my breaks I do household tasks, work in the yard for a few minutes, or prepare food. I’m rarely behind on my chores, which is amazing! When I was working full time, I was exhausted by the time I got home, with little energy left over for housework. When I craft my day in this structured way, I typically accomplish the tasks I’ve set out to complete. People who aren’t self-directed will find working within set boundaries more difficult. It does take a certain amount of discipline and motivation to work from home. If you possess these qualities, you can get a lot done, in shorter amounts of time. Working from home can improve your health. Firstly, your workday will be shorter. Commuting to work and back takes a big chunk out of your day. I don’t mind driving per se because I can use the time to listen to podcasts or informative videos, but every day, back and forth to work, can be a major chronic stressor. Traffic jams and inclement weather make matters even worse. It’s much easier to eat nutritious meals when you work from home. During my breaks, I whip up healthy meals that nourish my body, and fuel my mind. It’s easy to get caught in the trap of eating fast food, or at least inferior food, when you’re stuck in an office all day. And what about when the boss orders in pizza, and you’re starving? You’ll most likely cave. Overtime, this can negatively affect your health. When you work from home, you’re more likely to exercise consistently, as well, because you are the master of your time. You’ll also get more sleep, and if you get sick, you’ll recover faster because you can rest when you want to. Plus, you won’t catch every virus that’s circulating at the work place. If you’re looking for an opportunity that will allow you to eventually quit your day job, I’ve got the perfect solution for you. Wealthy Affiliate is where I learned my affiliate marketing skills. Affiliate marketing is a fantastic way to make money online. 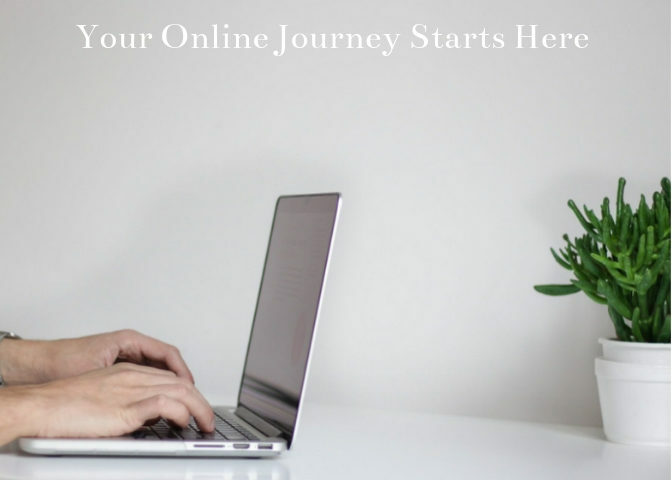 It is an amazing online platform that will teach you everything you need to know to run a successful internet business, and then you can run your business entirely from the comfort of your own home, or from anywhere in the world for that matter. Take advantage of Wealthy Affilate’s yearly Black Friday sale where you can enjoy a premium membership at half price. This is an incredible savings! You can also join completely free without a credit card. There are no upsells or hidden agendas, and there’s absolutely no risk to get started. Check out this walkthrough of the community by one of the owners. Jaaxy – a keyword research tool that is fun and easy to use. Site Content– the best writing platform out there. WordPress website builder – it’s easier than you think. Read my review here for more information. As you can see, there are many advantages of working from home. There’s no disputing this fact any longer. When you work from home, you can set your own hours, enjoy more flexibility, travel when you want to, and plus, it’s good for your health. Thankfully, times are changing, allowing many of us to work from home as companies are embracing this 21st- century trend. Would you like to work from home? Are you working from home already? Please share your questions, comments, and suggestions below. It helps all those reading this post! I just started an online business with the hopes I’ll be able, to one day enjoy the fruits of my labor, and be able to enjoy the freedom and health benefits working from home offers. I’m also a creative writing major, so not only will working from home grow my own business, I’ll be able to easily work on side projects! I’ve never liked the idea of commuting and being someone who has always worked in retail, it will be nice not having to hold my tongue because there won’t be anyone complaining about something they want that isn’t in stock! Another thing that’s appealing about working from home is not having to worry about losing your job due to layoffs or being terminated for any other reason. While I’m not a control freak, I think everyone should have the opportunity to be able to decide what’s important and what’s not, instead of working on someone else’s time. You bring up some great points. I like not having to commute. It gets old fast, as does customer service, especially with complaining customers. When you are your own boss, layouts aren’t an issue either. The reasons just keep getting better. Thank you for reading. Thank you for sharing this fun and informative post. I fully agree with every reason you listed. Working from home is the best and I for one would not trade it away. My favorite reason is setting your own hours. I enjoy the feeling of not being tied down to one location and one block of time. Life will indeed throw you curveballs, but setting your own hours and being in control of your schedule means that you can knock those unexpected curveballs right out. That’s right Kenny. Working from home is the best, and when life throws us a curve ball, it’s nice to be able to be in control of your time. Thanks for commenting!